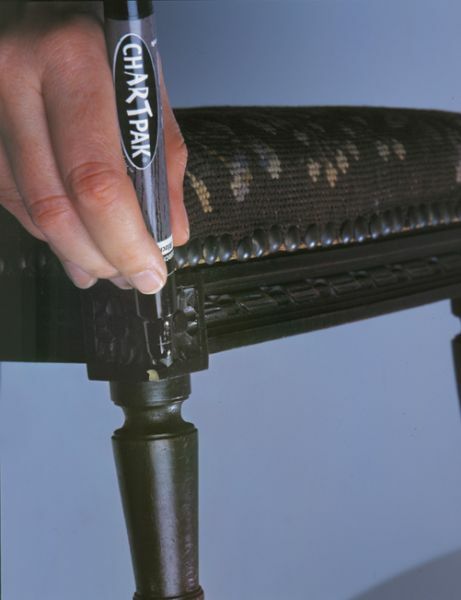 Cover scratches dings and chips on wood or wood laminate permanently with these markers. * Create fine medium or broad strokes with the unique tri-nib. * Clear acetate sheet included for mixing marker colors for a true match. 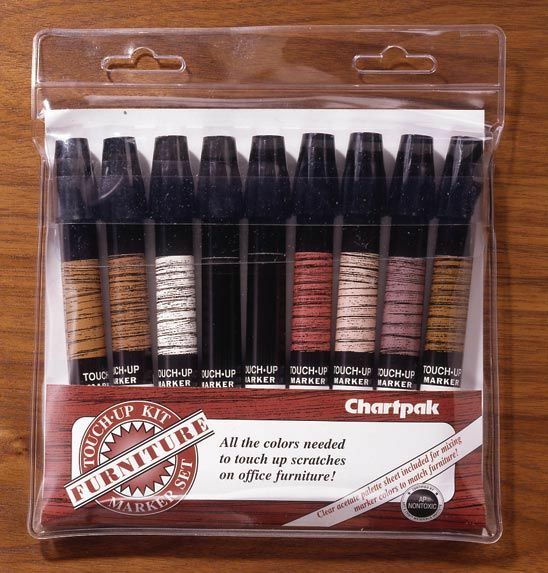 * Set contains 8 wood tones: Dark Oak Harbor Oak Landmark Oak Black Natural Cherry Brilliant Cherry Royale Walnut and Richleigh Walnut. * Also includes a blender marker to mix and remove colors while still damp and a palette sheet. * Comes in a reuseable vinyl pouch.